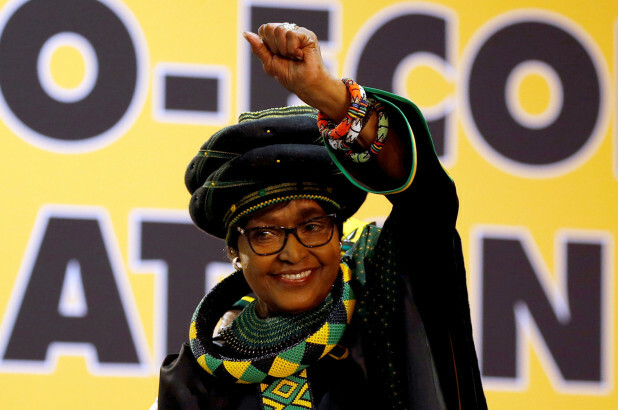 Winnie Madikizela Mandela, Late Nelson Mandela’s ex-wife has died on Monday in Johannesburg after a long illness for which she had been in and out of the hospital since the start of the year. She was admitted at Netcare Milpark Hospital over the weekend after complaining of flu following her attendance for a church service on Friday, according to a statement released by her spokesman, Victor Dlammini. Winnie Mandela who died aged 81, had lost her legacy as mother of the nation that she attained through her anti-apartheid heroine fight when she was leveled with offences of corruption, kidnapping, murder and the implosion of her fabled marriage to the Late Nelson Mandela. Though, Ms. Madikizela-Mandela resented the notion that her anti-apartheid credentials had been eclipsed by her husband’s global stature and celebrity, and she struggled in vain in later years to be regarded again as the “mother of the nation,” a sobriquet acquired during the long years of Mr. Mandela’s imprisonment. She insisted that her contribution had been wrongly depicted as a pale shadow of his. While Mr. Mandela was held at the Robben Island penal settlement, off Cape Town, where he spent most of his 27 years in jail, Ms. Madikizela-Mandela acted as the main conduit to his followers, who hungered for every clue to his thinking and well-being. The flow of information was meager, however: Her visits there were rare, and she was never allowed physical contact with him. At Mr Mandela’s funeral, in December 2013, she appeared by his coffin in mourning black positioning herself almost as if she were the grieving first lady even though Mr. Mandela had married Graça Machel, the widow of the former Mozambican president Samora Machel, in 1998, on his 80th birthday, six years after separating from Ms. Madikizela-Mandela and two years after their divorce. It was Mr. Mandela’s third marriage.